Anyone for a little sport? Or a spell-checker? 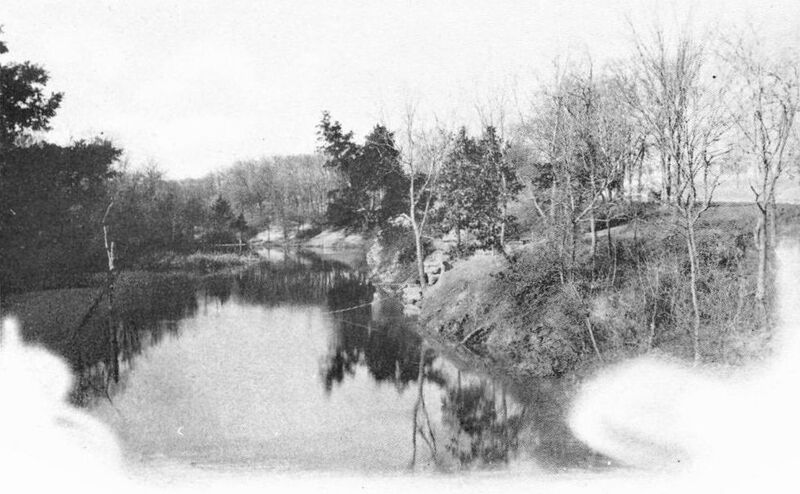 In October, 1914 it was announced that the city had purchased this tract of land from the heirs of the pioneer Cole family in order to establish what would become Reverchon Park. 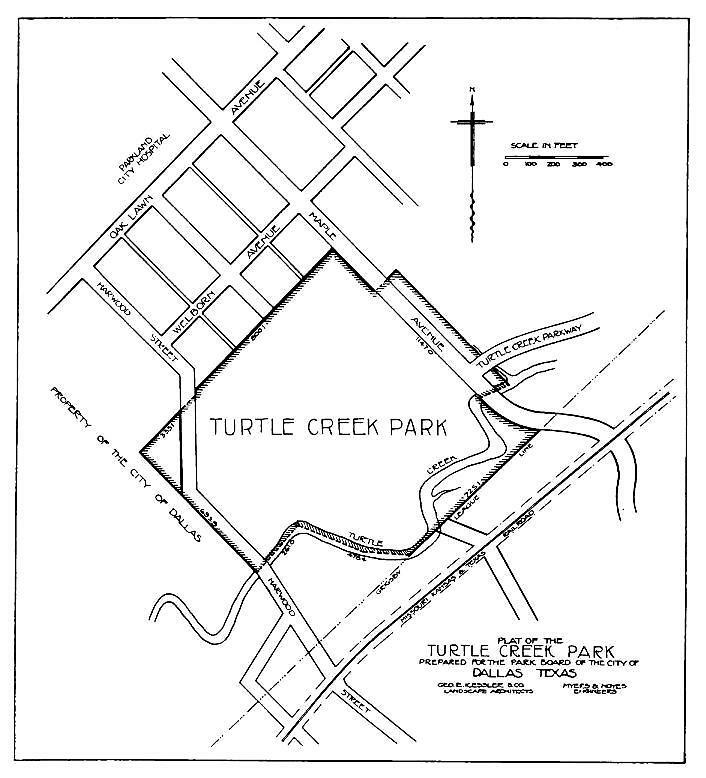 Pending suggestions for a more suitable one, Turtle Creek Park has been temporarily adopted as the name for this property. At the time of its purchase it corresponded in a measure to the slum districts of the great cities. 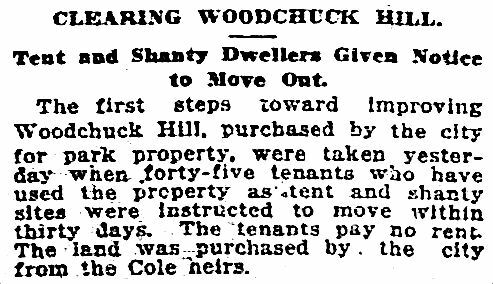 It was known as “Woodchuck Hill,” and its inhabitants constituted a novel settlement for the city. They resided in make-shift houses and hovels built by the occupants who paid a small stipend each month in the shape of ground rent. The moral conditions of these people was bad, and they caused much concern to the Social Welfare Workers in particular. In addition to an athletic field, this park is adaptable for an elaborate botanical garden. Being situated at the western base of the Turtle Creek Boulevard, which extends the entire length of the property, it will one day constitute one of the chief attractions of the city for visitors. It adjoins the water works property, comprising a total of 103 acres of city property, a large portion of which has already been beautified. The grounds surrounding the pumping station and the water purification plant have been laid out in lawns and flower beds. Near the center of this park and at the base of the hills on its northern boundaries is located Raccoon Springs. The springs flow a large volume of water to year round, and provide shady nooks with delightful surroundings. Hovels below, in the “before” picture. Top postcard (with “Reverchon” misspelled — understandably so…), from somewhere in the wilds of the internet. Quoted text and other images from Report for the Year 1914-1915 of the Park Board of the City of Dallas, With a Sketch of the Park System (Dallas: Park Board, 1915), which can be accessed as part of the Dallas Municipal Archives, here. 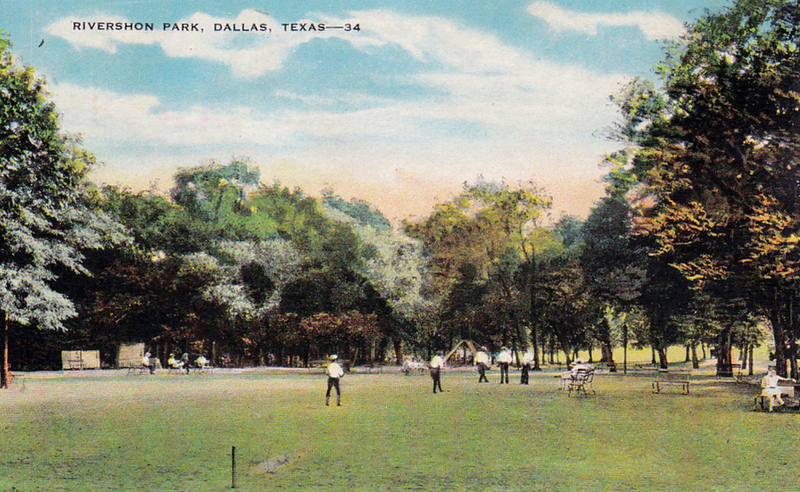 For more on the Dallas Parks System, the definitive source may well be Historic Dallas Parks by John Slate (Charleston: Arcadia Publishing, 2010); more info here. Friends of Reverchon Park website here. A week after his arrest, J. W. “Bill” Arnold was “released on bond in the sum of $1,000 through a habeas corpus hearing.” His name popped up again in 1915 when he was — for some reason — re-arrested in Denton for the 1911 crime. He was released 2 or 3 weeks later when a Dallas grand jury recommended that all charges against him be dropped. He worked as a horse trader.